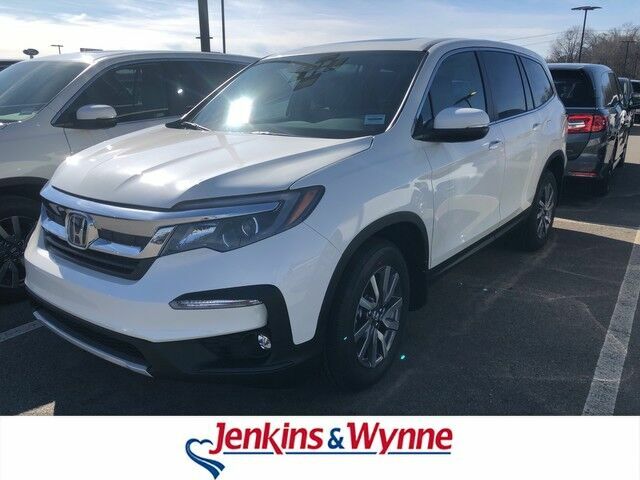 This 2019 Honda Pilot EX-L is offered to you for sale by Jenkins & Wynne. This Honda includes: BEIGE, LEATHER-TRIMMED SEATS Leather Seats WHITE DIAMOND PEARL *Note - For third party subscriptions or services, please contact the dealer for more information. * Want more room? Want more style? This Honda Pilot is the vehicle for you. The look is unmistakably Honda, the smooth contours and cutting-edge technology of this Honda Pilot EX-L will definitely turn heads. Based on the superb condition of this vehicle, along with the options and color, this Honda Pilot EX-L is sure to sell fast. Although every reasonable effort has been made to ensure the accuracy of the information contained on this window sticker, absolute accuracy cannot be guaranteed. Vehicle information is based off standard equipment and may vary from vehicle to vehicle. The prices are subject to change. Price does not include applicable tax, title, license, and doc fee.